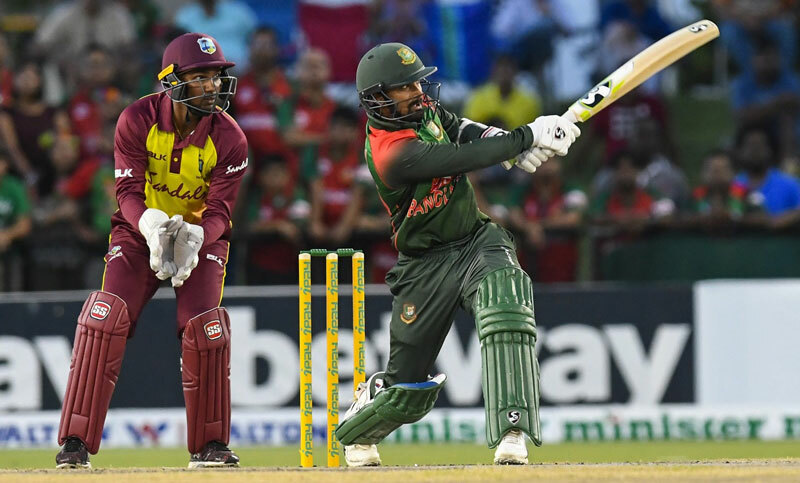 Bangladesh set a 185-run target for the world champion West Indies in the third T20I of the three-match series at Central Broward Regional Park Stadium Turf Ground, Lauderhill, Florida. Bangladesh won the toss and chose to bat first. Opener Liton Das and Tamim Iqbal scored 61 runs for the first wickets. Liton Das was the best of the Bangladeshi batsmen, scoring 61 runs off 32 balls while Mahmudullah was unbeaten at 32 off just 20 balls. For the Windies Keemo Paul and Carlos Brathwaite took two wickets each.